When it comes to sun protection, nobody does it better than Neutrogena. 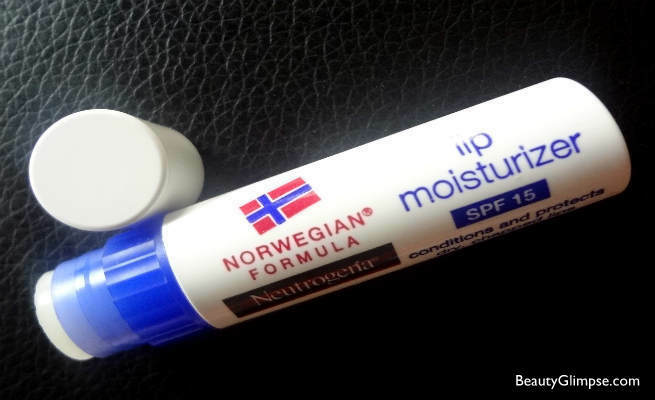 So when I was staring at my empty Maybelline lip balm tube, wondering whether I should repurchase the same or try some another product which also has SPF, I decided to give the Neutrogena Norwegian Formula Lip Moisturizer a try. It comes in a twist open 4g tube and it is priced at Rs.125. It has a shelf life of 3 years. Neutrogena Norwegian Formula Lip Moisturizer softens, smoothes and protects dry, chapped lips with no waxy feeling. The moisture-enriched formula soothes and conditions your lips, keeping them healthy looking and soft in all weather. Contains PABA-free SPF-15 sunblocks to guard against the sun’s UVA and UVB rays. Formulated only with the purest ingredients – no color, no fragrance and unnecessary additives. The lip balm glides easily on the lips and does not leave any waxy coating. On applying other lip balms I have seen that it leaves behind a coating that makes the strokes of the lip balm application evident. 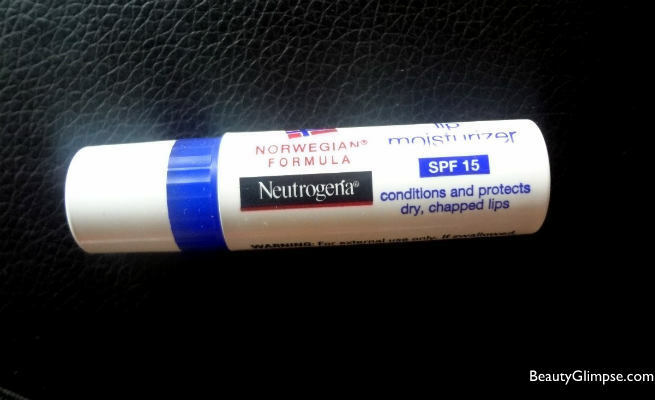 Neutrogena Norwegian Formula Lip Moisturizer does not have any smell or color too. Even in the winters, the lip moisturizer conditions the lips and keeps acting for a good 3 hours. Other balms that I have used before need constant reapplication. This balm has a good staying power despite applying only a thin coating. 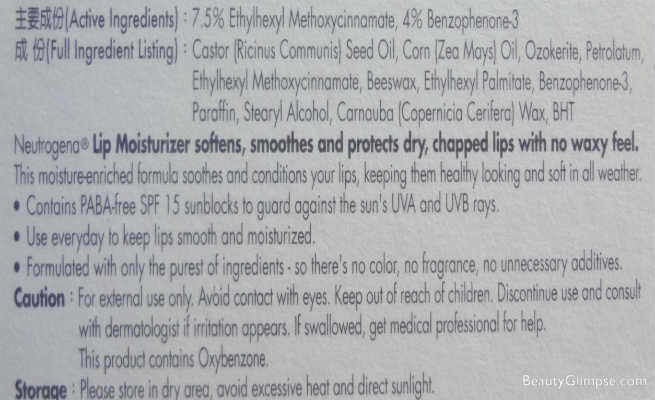 The SPF 15 in it ensures sun protection and prevents darkening of the lips when I am out in the sun. One thing that I miss out on is the color. There are other lip balms with SPF that comes in pretty colors. On applying this lip balm, I have to resort to a gloss or a lipstick on top for some color on the lips. What could have been done with a tinted lip balm with SPF now needs an extra product for the lip tint. I also miss the sweet smell that comes with other lip balms since this lip balm is fragrance free. That apart, I am quite happy with the product. The tube will last me a couple of months easily. I have used it in the night too and woken up with really smooth lips in the morning. Prevents dry and chapped lips in the winter. Overall, I am very happy with the lip moisturizer. I do miss the burst of color that comes in other lip balms but other than that, I am really satisfied with the product. Once this tube is done, unless there is going to be a better product in the market, I am certainly buying Neutrogena Lip Moisturizer only.